For most Brazilian Jiu Jitsu practitioners, the beginning of their BJJ journey is to put on a uniform and tie up their belt for the first time. But for professional fighter grappler, and purple belt Linsey Williams, the first steps on her path into jiu-jitsu was a little unconventional. That was in 2011. Since then, Linsey – who goes by the name “Wonder Woman Williams” – has continued training jiu jitsu. When she returned to the States, she began training in the lineage of the great Pedro Sauer, including some training with IJEF Vice-President Ishmael Bentley. While competition has always been important to Linsey and a big part of her training, she recently decided to turn her years of formal training into a professional fighting career. In some ways, it wasn’t a big change. After all, she had been training and competing with trademark intensity throughout her time studying for a bachelor’s degree and in the years following. But the transition to making money off fighting still brought new challenges. One element that has taken some getting used to the business side of things. With years of military and technical grappling training under her belt, a higher level of fighting was challenging but not fundamentally new. But managing her career certainly is. 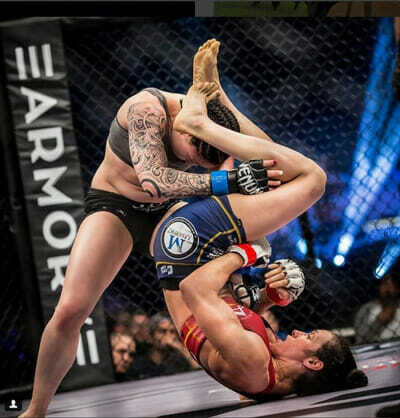 Linsey “Wonder Woman” Williams executes an arm bar on her competition. Despite the difficulties, Linsey has also committed herself to using her platform for good. She began her charitable work by donating some of her fight proceeds to those affected by Hurricanes Harvey and Maria. Then she connected to the International Jiu-Jitsu Education Fund through Professor Ishmael. Immediately, Linsey saw the good IJEF could do for kids around the world. Since being introduced to our program, Linsey has raised over $1000 for our cause by donating a percentage of her fight proceeds to IJEF. Her next opportunity to support will be at the June 30th Fight to Win 78 competition in Minneapolis, Minnesota where she is based. The money from all the tickets sold in her name go back to her, and in turn, 30% of that goes to bringing free jiu jitsu to kids. We wish Linsey the best of luck in her Fight to Win grapple against Michelle Donovan and we can’t wait to see where her career will take her – and IJEF. 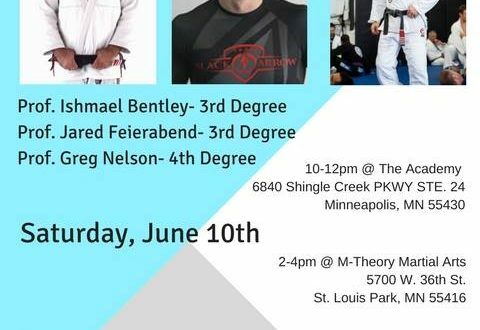 If you’re in the Minneapolis area, check out http://www.f2wbjj.com/ for tickets and support us today!